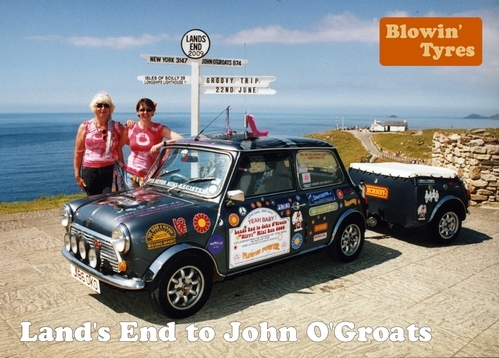 LEJOG 2012 - another fundraising opportunity! Michelle Stone, lead web developer at Cornish WebServices, has again led a convoy of Minis on a mammoth drive from Lands End to John O'Groats - with the cars arriving in Scotland last week! This has been another great fundraising opportunity, with sponsorship money collected by Michelle for Demelza House Children's Hospice in Kent. 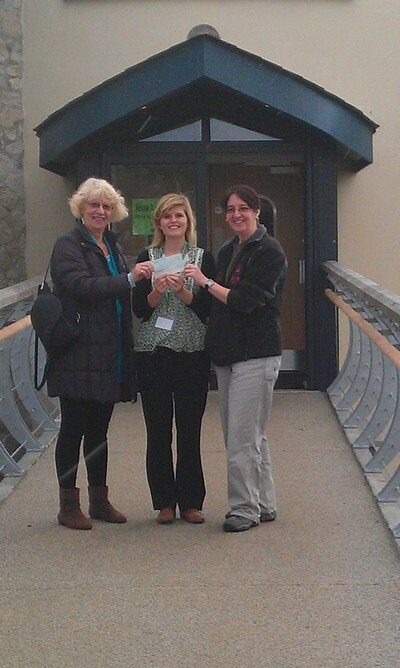 The other charity that LEJOG supports is The Children's Hospice South West (pictured receiving their cheque from Michelle and her Mum Carol last year). Cornish WebServices have donated generously to support this worthwhile charity who run three hospices for terminally ill children. 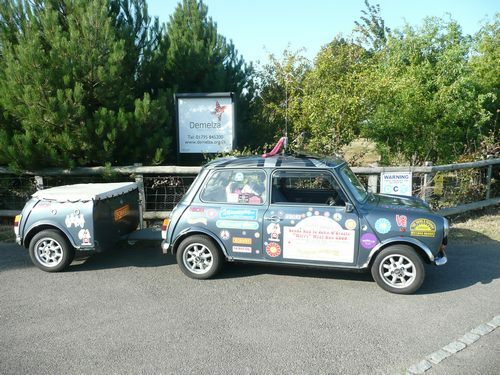 The money donated by Cornish WebServices will go towards the Little Harbour Children's Hospice in Cornwall, together with sponsorship money raised by other Mini drivers. Little Harbour is a new state of the art facility that provides the chance for the children to enjoy happy times together and with their families. LEJOG is an annual convoy of Minis driving the length of Britain, from Lands End in Cornwall to John O’Groats in Scotland! Cornish WebServices sponsors this yearly fundraising event. The charity Mini drive raises money for two charities; the Demelza House Children’s Hospice in Kent and the Little Bridge House Children’s Hospice South West. Our very own Michelle, a Senior Website Developer for Cornish WebServices, has been taking part every year since 2000. Alongside her Mum Carol, Michelle leads the Mini convoy in her trusted vintage Mini 'Jock' - complete with his Union Jack roof and matching Mini trailer! 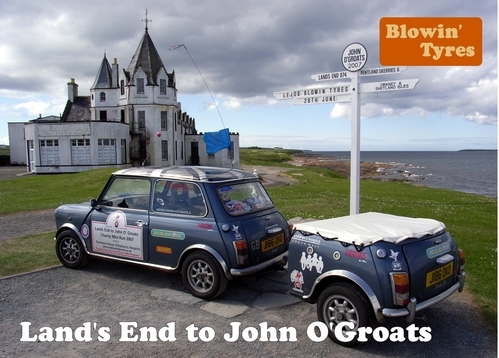 The LEJOG Mini Drive is expected to raise over £1,000 this year for the two children’s charities. The event is organised by Linda and Terry Baker of the North Devon Mini Register, who also put on the famous Mini ‘Grand Tour’ each year.